Deanism is the worship of God as Mother of the Universe and single Supreme Being. Dianism is a natural variant of the term though not generally used in order to avoid confusion with "Dianic Wicca" with which it is wholly unconnected. Theanism is also occasionally used. Very often the word is accented as Déanism to indicate the correct three‐syllable pronunciation (day‐an‐ism). As a companion‐piece to our article What Is Filianism?, we explain the meaning and history of this term. Filianism and Deanism are two terms that were coined at much the same time and were always used to complement each other. The purpose of them was to differentiate between the thealogically developed religion of Filianism, with its worship of Mother, Daughter, and Dark (i.e. supra‐formal) Mother and a simpler, largely non‐doctrinal worship of the Mother. Deanism and Filianism did not represent two denominations or groups of believers, so much as two possible sets of attitudes and practices within the worship of Our Mother God. 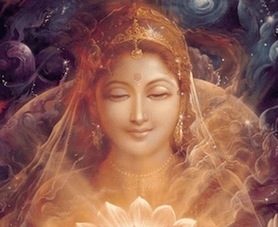 The Faith of Our Mother God consists in the acceptance of our Mother-Creatrix as the one Supreme Being, the Source and Origin of all that is, the One without a second, upon whom the existence of anything whatever is absolutely dependent. To know this and to love Her—or even to wish to love Her—is the whole of our religion in its essence. The term itself was somewhat influenced by the 18th‐century phenomenon of Deism (simple belief in God without Christian doctrine), but had none of the rationalist implications of that term. Deanism did not imply a dislike or rejection of doctrine or form. Its basis was simply a doubt as to whether the Filianic Scriptures, clearly of recent origin in their current form, could provide an authoritative basis for a specific religious form. It was not a revolt against doctrine and tradition, but a degree of doubt as to whether worshippers of Our Mother God could actually lay claim to them, and also a concern about people who were at that time (and since, but now largely outside the actual Deanist/Filianist sphere) claiming themselves to be ecclesiastical authorities, when clearly an authentic line of priesthood of Our Mother God did not and could not exist. In other words, it was not a question of holding doctrine and tradition in contempt but, on the contrary, of taking them so seriously that there were genuine questions of conscience about whether they could be produced without a genuine line of traditional filiation. It is important also to understand that Deanists and Filianists were not actually opposed in this matter. Authentic Filianists do not have a priesthood for precisely these reasons. Neither do they see the Threefold form of Dea as the only way of seeing Her, but simply one important and traditional way of understanding truths that ultimately transcend human understanding. Both positions are essentially humble. Grateful and happy for the fact that Dea has given us the simple means to love and worship Her. Not attempting to grab for ourselves or create out of nothing the things we do not possess. We do not have a full Tradition, and making or "reconstructing" a "tradition" with modern Western minds and attitudes does more harm than good. We have been given the basis for simple faith. And we are grateful for that. In practice there was no "Deanic faith". The term simply marked a theoretical position in relation to Filianism. Filianism, while it has a Creed, does not claim to be "exclusively true". The extent to which worshippers of Our Mother God do or do not follow the Filianic Scriptures and thealogy has never really been a point of contention. However, while the term Deanism does not imply a complex thealogy, even within its intentionally minimal definition, it has always signified certain very clear principles, which differentiate it from modern "goddess" religions and other "new age" phenomena. In other words, Dea is not a "psychological phenomenon" as some "goddess feminists" believe. She is not an aspect of women's psyche or a projection of everywoman or anything of that sort. She is God. She created humanity. Humanity did not create Her. Simple as it is, Deanism has always clearly differentiated itself from "psychological" interpretations of Dea. Also note that this is not an "Earth Mother". She is the origin of all that is, not of one planet. Far less is She in any way that planet itself. Reverence for natural things is certainly enshrined in the Gospel, but because they are the loving gifts of transcendent Dea. This very clearly states that there is no "consort", no "co‐creator". This is logically and metaphysically necessary. There may be various forces at work within the manifest universe, and indeed our traditions (though Deanists may not insist on it) have always revered the seven Great Janyati. But Dea is God, the Absolute, the Atman. There cannot be two Absolutes any more than a circle can have two centers. This is fundamental to Deanism. Clearly also this rules out any connection with the Abrahamic religions of Judaism, Christianity, and Islam or use of their scriptures, since they are firmly founded on the concept of masculine deity. While some degree of feminine godhood could be construed from (always doubtful) academic reconstruction, one would still (unless one discarded the tradition altogether) be dealing with a masculine tradition and at best a "shared godhood". This is deeply contrary to all three traditional Abrahamisms, and to Deanism alike. The question here is not whether one "believes in a masculine god". We are all aware that God can be approached under differing forms. The question was firstly about what form worshippers of Our Mother God (as opposed to anyone else) see and worship Deity, or the Absolute Principle. Secondly it was a rejection of the metaphysically absurd "polytheism", which was essentially an invention of the Abrahamic religions to denigrate other traditions. Where an Absolute‐denying polytheism was (rarely and by the uninstructed, for example during the Classical decadence) embraced as an actual creed, it was essentially a confusion between the Absolute Herself and Her Divine Powers. The more modern form of polytheism (articulated by post‐Christian Westerners) is in essence a rejection of the Absolute altogether in favor of a universe of pure relativity. In other words, a mixture of Christianity and its twin sister, the atheist vision of an "accidental universe". "Atheism with Titans" as Lady Aquila famously expressed it. Whether the term "Deanic" could be applied to other streams of belief—for example to Hindu traditions that worship the Supreme Mother—has never been absolutely clear. The term was actually coined to mark certain logical distinctions relating to relatively recent Western worship. 3. 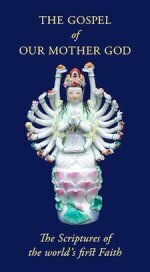 Between itself and patriarchal and semi‐patriarchal "consort" (goddess‐and‐god) religions. The intention was not to reject any of these as false (in practice perhaps 2, though no value judgement is actually implied), but to have a term that clearly and concisely marked the distinctions involved. As to whether anything else could properly be termed "Deanism", the answer would be: "Apply the tests". Does it see Dea (by whatever name) as sole Source of Being? Neither part of a consort‐pair nor a psychological phenomenon, nor a personification of the Earth nor anything else other than the Single Supreme Principle? If that is the case, then the name could be reasonably applied, even though that has not been its historical usage. If not, then clearly it can't. To sum up the question in a single phrase: Deanism is the simplest and most basic designation of a pure devotion to Our Mother God. Do We Worship a Pagan Goddess?